Tripoli: Lawmakers from Libya’s internationally recognised parliament said Wednesday they support a UN-backed unity government but were “forcibly prevented” from putting it to a vote of confidence. The parliament, located in the remote eastern town of Tobruk, was unable to hold a confidence vote on the line-up of a new unity administration on Tuesday because it lacked a quorum. In a petition seen by AFP, 100 of the parliament’s 196 members said they supported a unity government but were “forcibly prevented” from voting on Tuesday after receiving threats. “We, 100 members of the House of Representatives, confirm... our agreement on the proposed cabinet line-up,” the lawmakers said. “We need to decide on an appropriate place for a new parliament session as it has become impossible to hold one” in Tobruk. The aborted confidence vote came as forces loyal to the recognised government seized a key bolthole from Islamist militias including Daesh in the centre of second city Benghazi. The United States on Wednesday backed Libya’s internationally recognised government. “The United States welcomes the February 23 endorsement for the Cabinet of the Government of National Accord, signed by a majority of Libyan House of Representatives members,” State Department spokesman John Kirby said in a statement. 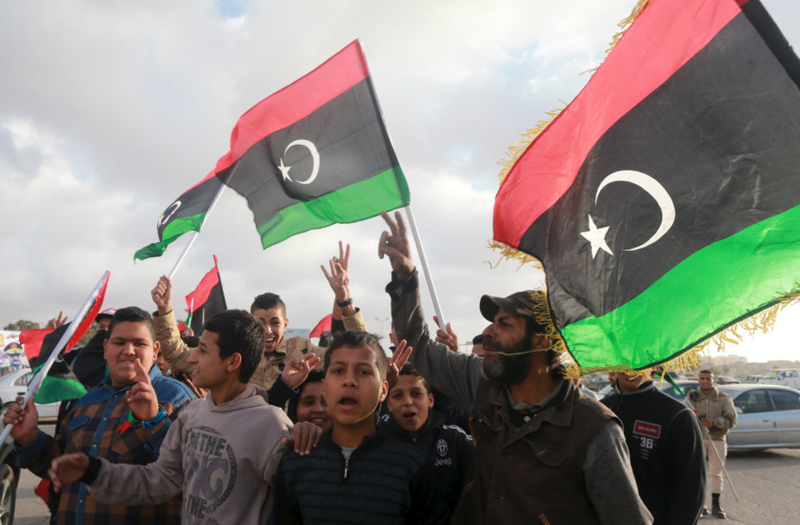 Libya has had two rival administrations since mid-2014 when the recognised government was forced from Tripoli after a militia alliance including Islamists overran the capital. The UN’s Libya envoy Martin Kobler said it was “unacceptable” that lawmakers had been threatened. A Presidential Council, born of a UN-brokered agreement in December between representatives of the rival parliaments, last week put forward a unity government of 18 members. A previous cabinet line-up of 32 ministers proposed by premier-designate Fayez Al Sarraj was rejected by the Tobruk parliament as being too large. According to the parliament’s website, 99 lawmakers would need to vote in favour of the new unity government for it to receive the legislature’s approval. Libya descended into chaos after the 2011 ouster of longtime dictator Muammar Gaddafi, allowing Islamist militant organisations including Daesh to gain significant ground. Daesh briefly occupied the heart of a city near Tripoli on Wednesday but were ousted by fighters loyal to the government in control of the capital. The clashes in Sabratha left 18 people dead, officials said in a revised toll, after the terrorists overran the city’s security headquarters and other buildings overnight. The city was the scene of a US air strike last week on a suspected Daesh training camp that killed more than 40 people including two Serbian diplomats being held hostage. Sabratha’s municipal council said Daesh had exploited the “security vacuum” as security forces conducted raids looking for Daesh operatives in the suburbs, but said it had since gained “complete control” of the city. On Tuesday, special forces loyal to the Tobruk government retook the militant stronghold of Lithi in central Benghazi after seizing a port area and several army headquarters since launching an offensive at the weekend. French daily Le Monde said Wednesday that French special forces had been deployed in Libya for “clandestine operations” against Daesh terrorists. In response to the report, officials in Paris said a probe had been launched into a possible leak of classified information. Libya’s Tripoli-based parliament, the General National Congress, in a statement, “strongly condemned” the loyalist offensive in Benghazi and also said French commandos were taking part. France and other Western countries have agreed that military action is needed to dislodge Daesh in Libya, but world powers want a national unity government installed to request help before formally intervening. Representatives from neighbouring countries are to meet on March 21-22 in Tunisia “to continue to study ways of finding solutions” to Libya’s unrest.